Greetings from Southern Illinois. Yes, it's still hot here. This cartoon accurately describes what I have been going through this week. Recent upgrades of the Mac OS-X Operating System and the Adobe CS6 suite of software that I use for this newsletter have forced me to learn how to program (or author) using "CSS" or Cascading Style Sheets. About 22 years ago I took a course in how to program web pages at a state college in Florida. The Internet was relatively new back then (outside of academia & government) and web pages were programmed using just "HTML" or Hyper Text Markup Language. Later when CSS came out, I didn't bother to learn it because I was able to do everything I wanted to do with HTML. VERIZON WANTS TO DUMP RURAL CUSTOMERS? Verizon CEO Lowell McAdam recently told a Wall Street investor audience that Verizon’s future earnings and focus should be primarily on the wireless side of the business [... and] clearly signaled the company is laying the groundwork to abandon its rural phone network (and DSL broadband) as soon as regulators allow. Read more about it below in the BloostonLaw Telecom Update. There are three tiers to Google Fiber. The first, of course, is Gigabit + TV . It includes “hundreds of channels [and] tens of thousands of shows on demand” in HD. This option lets you record 8 different shows simultaneously, and comes with 2TB of DVR storage. You read that correctly: two terabytes . If that’s not enough, Google is throwing in a brand-new Nexus 7 tablet —just to act as your remote. Google promises no bandwidth caps, and this service costs you a flat fee of $120 per month, with free installation. Not a good enough deal? Maybe you don’t want to record 8 simultaneous repeats of Jersey Shore at once? There's also the Gigabit Internet option : for $70 per month, you get gigabit broadband, a Wi-Fi router, and 1TB of cloud storage on Google Drive. Yeah, I’m totally not kidding. 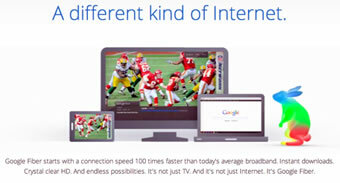 If $70 is still too much for your budget, Google has one more pitch for you: how about some Internet for free? If you pre-register with Google to get your fiber installed, Google will install a 5-megabit-per-second connection to your home for no monthly charge . Pay the $300 installation fee ($25 a month if you prefer) and get browsing. Last week I was asked to join a team of consultants evaluating a strange case of radio interference at a public safety installation in Trenton, Illinois. The source of the interference turned out to be something that I had investigated years ago and thought had been resolved by improvements in technology. In the next few weeks I will be publishing a complete report from the team with all the technical details. Our team leader is Ira Wiesenfeld, Consulting Engineer, and Registered Professional Engineer. Ira is not only a colleague but a good friend as well. I expect our collaborative report to be very interesting. I hate to “steal his thunder” but everyone needs to know ASAP that some of the new solid-state ballasts that are used in fluorescent lightning can make any pager or radio in the nearby area go deaf and dumb. Just in case you would like to see my consulting brochure; it is here . I would be glad to help you with a project, and maybe save you some time and money. I have managed to learn a few things from 55 years of experience in radio communications. Experience , PSSI repairs 5,000 units a day and has capacity for more. Expertise , PSSI’s executive team has 125+ years of industry experience. After rising eightfold through the next several years, the mobile data demand growth rate is set to slow says ABI Research. Wi-Fi offload will help, but there are two flaws with ABI’s forecast: Globally, feature phones still reign and our reliance on the cloud will grow. The mobile data tsunami we've watched build over the past five years will crest in 2015 and the world will consume a whopping 107 exabytes through mobile networks in 2017. But the demand wave will grow slower in 2015, ABI research said on Wednesday, because “needless burden” on cellular networks will be addressed through Wi-Fi offload and smarter devices that can take advantage of free hotspots. Wireless offload is a topic we've addressed here many times in the past; there are definitely huge opportunities to reduce mobile data demand by supplementing mobile networks with Wi-Fi. The wireless industry is starting to embrace this solution, but it isn't expected to account for a huge demand reduction for cellular data: Cisco estimates that only 22 percent of mobile traffic will flow through Wi-Fi in 2016, for example. First, we’re still a world of low- to no-data required feature phones. With roughly 7 billion people on the planet, only 16 percent at the end of last year had a smartphone, estimates Tomi Ahonen. Far fewer have tablets. But in the next three years, the overall user base for data is sure to grow as smartphones decline in price and network infrastructure improves worldwide. That means more demand for some time to come in my opinion. Second is the problem of “not knowing what we don’t know.” By that, I mean we simply can’t predict what mobile device activities will require data, nor how much of it. We’re moving from email to social networking apps and local video to sharing or downloading digital media over wireless networks. Simply put: Our reliance on the mobile Internet is only just beginning and the web-based activities three years from now can’t be determined. 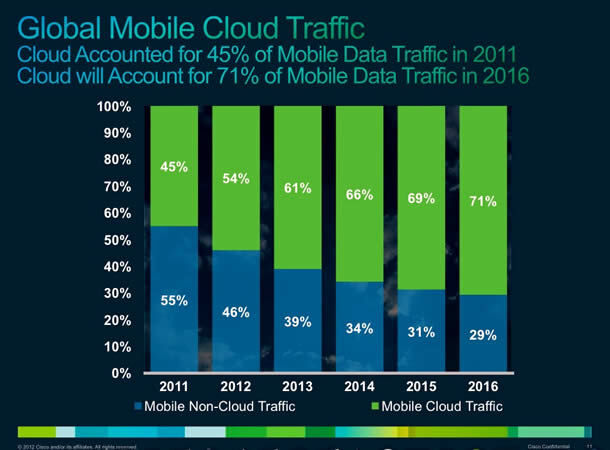 Again, Cisco seems to agree, suggesting that cloud services and apps will account for nearly three-quarters of mobile broadband use by 2016. Without a doubt, Wi-Fi offload will help matters. But we have so few solutions trying to combat a near-infinite number of mobile use cases — many we haven’t yet envisioned — for us to assume that mobile demand will slow three years from now. The July 19 edition of The Herald-Palladium — a newspaper serving the communities of Benton Harbor and St Joseph, Michigan — is reporting that Heathkit Education Company has declared bankruptcy and has officially closed its doors after defaulting on its lease. According to the paper, Heathkit employed more than 1800 people in its heyday after World War II; when it finally closed, its workforce totaled fewer than six people. This is the second time since 1992 that Heathkit Educational Services has shuttered its doors. 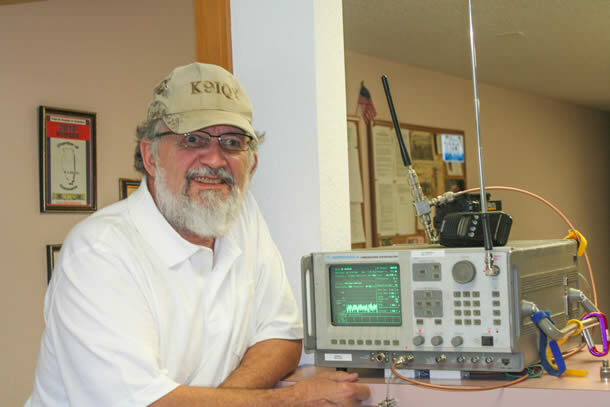 In August 2011, Heathkit announced it was returning to the kit building business , and in September, that it would once again be manufacturing Amateur Radio kits . 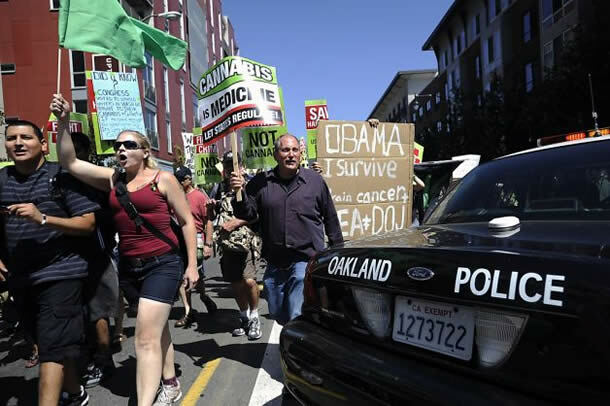 A major portion of Oakland's troubled police radio system failed shortly after President Obama's visit on Monday, leaving many of the 100 officers assigned to handle presidential security unable to communicate as protesters roamed the streets, police said Wednesday. "The guys downtown couldn't talk to one another," said Barry Donelan, head of the Oakland Police Officers Association. "It was a train wreck," said Lt. Fred Mestas, who was on duty downtown during and after Obama's speech at a fundraiser at the Fox Theater. Police said officers were suffering sporadic communications problems throughout the time Obama was inside the Fox on Telegraph Avenue, as well as before and afterward. At one point, Mestas said, officers couldn't talk to the Police Department's dispatch center. "That lasted about 30 minutes," Mestas said. "When you have the president there, 30 seconds is too long." The communications issues became severe around 10 p.m., about an hour after Obama left Oakland, city officials said. At that point, police were keeping an eye on demonstrators who had protested during Obama's visit and lingered after he left, occasionally blocking streets. The protests proved to be largely peaceful. "Any radio failure puts officers at risk, but this was a critical situation to provide safety and security for the president and the public," said Donelan, whose union has been outspoken about the radio system's problems. The year-old system has been plagued by breakdowns and dead zones that have left officers' digital radios prone to blackouts across the city and in most commercial buildings, including the basement of police headquarters. 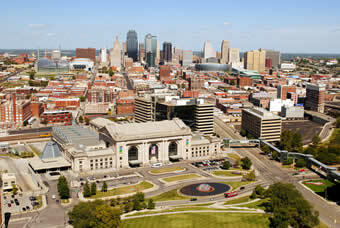 A city-hired consultant said last week that the system was not up to urban standards. The city has so far rejected joining forces with an Alameda-Contra Costa counties regional authority composed of 40 other police and firefighting agencies that is building its own radio system. City Administrator Deanna Santana said she needs to know more about the costs and benefits of the regional network before recommending to the City Council whether to drop Oakland's system. Oakland paid $18 million for the radio system when it became operational last year, largely using grant money. The city built it in consultation with the Richmond office of Dailey and Wells, the local representative for the radio system manufacturer, Harris Corp. of Florida. According to city officials, the problems Monday night were caused by the failure of a cooling unit used on a transmission tower at Gwin Reservoir in the Oakland hills. The tower overheated, causing "severe" communications problems after 10 p.m., said Sgt. Chris Bolton, chief of staff for Police Chief Howard Jordan. The problem was diagnosed by about 12:30 a.m. Tuesday. Karen Boyd, spokeswoman for the city, said the unit was less than 6 months old and that the vendor, Emerson Network Systems, "took full responsibility" for the breakdown. The cooling unit was replaced by midday, but service was not fully restored until about 6 p.m. Tuesday, Bolton said. In the meantime, officers in and around downtown continued to have communications problems. Bolton said he was on duty Monday night and was among those who had trouble contacting fellow officers. "Obviously, we want a reliable radio system," he said. Donelan called the police radio network "inadequate." "It's touch and go every day with this system," Donelan said. "It just happened that one of the antennas went down when the president of the United States was here." Bill McCammon, executive director of the regional authority building its own network, said city officials reached out to him the day after Obama's visit and want to meet next week about the inter-agency system, which will be fully functional in September. "We're eager to work with them," McCammon said. Pleasant Hill Police Chief Pete Dunbar, a former Oakland police officer who is on the regional system's board, said he hopes the episode will help persuade the city to join its neighbors' transmission network. "When you have the president of the United States in town and your system goes down," he said, "you wonder what could happen next." Dunbar added, "These stories (about failures) go on and on. But for the grace of God, nobody has gotten hurt. But if you keep this up, it's just a matter of time." By Jim Finkle LAS VEGAS (Reuters) - Hacking experts have demonstrated ways to attack Android smartphones using methods they said work on virtually all such devices in use today, despite recent efforts by search engine giant Google to boost protection. Experts showed off their prowess at the Black Hat hacking conference in Las Vegas, where some 6,500 corporate and government security technology workers gathered to learn about emerging threats to their networks. "Google is making progress, but the authors of malicious software are moving forward," said Sean Schulte of Trustwave's SpiderLabs. Google spokeswoman Gina Scigliano declined to comment on the security concerns or the new research. Accuvant researcher Charlie Miller demonstrated a method for delivering malicious code to Android phones using a new Android feature known as near field communications. "I can take over your phone," Miller said. Near field communications allow users to share photos with friends, make payments or exchange other data by bringing Android phones within a few centimeters of similarly equipped devices such as another phone or a payment terminal. Miller said he figured out how to create a device the size of a postage stamp that could be stuck in an inconspicuous place such as near a cash register at a restaurant. When an Android user walks by, the phone would get infected, said Miller. He spent five years as a global network exploit analyst at the U.S. National Security Agency, where his tasks included breaking into foreign computer systems. Miller and another hacking expert, Georg Wicherski of CrowdStrike, have also infected an Android phone with a piece of malicious code that Wicherski unveiled in February. That piece of software exploits a security flaw in the Android browser that was publicly disclosed by Google's Chrome browser development team, according to Wicherski. Google has fixed the flaw in Chrome, which is frequently updated, so that most users are now protected, he said. But Wicherski said Android users are still vulnerable because carriers and device manufacturers have not pushed those fixes or patches out to users. Marc Maiffret, chief technology officer of the security firm BeyondTrust, said: "Google has added some great security features, but nobody has them." Experts say iPhones and iPads don't face the same problem because Apple has been able to get carriers to push out security updates fairly quickly after they are released. Two Trustwave researchers told attendees about a technique they discovered for evading Google's "Bouncer" technology for identifying malicious programs in its Google Play Store. They created a text-message blocking application that uses a legitimate programming tool known as java script bridge. Java script bridge lets developers remotely add new features to a program without using the normal Android update process. Companies including Facebook and LinkedIn use java script bridge for legitimate purposes, according to Trustwave, but it could also be exploited maliciously. To prove their point, they loaded malicious code onto one of their phones and remotely gained control of the browser. 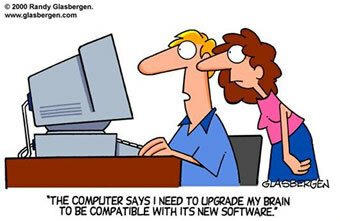 Once they did that, they could force it to download more code and grant them total control. "Hopefully Google can solve the problem quickly," said Nicholas Percoco, senior vice president of Trustwave's SpiderLabs. "For now, Android is the Wild West." The Elite Hotel Marina Tower is in one of the most beautiful locations in Stockholm. 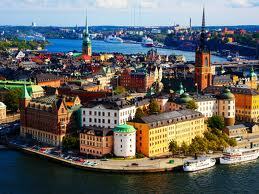 The hotel has views of the inner islands of Stockholm's famous archipelago as well as Old Town. The boat line between the hotel and the city takes about 10 minutes and gives you the opportunity to see and experience Stockholm. Registration for members is $350 before August 11. This includes a dinner cruise of the Stockholm archipelago on the M/S Blue Charm boat. 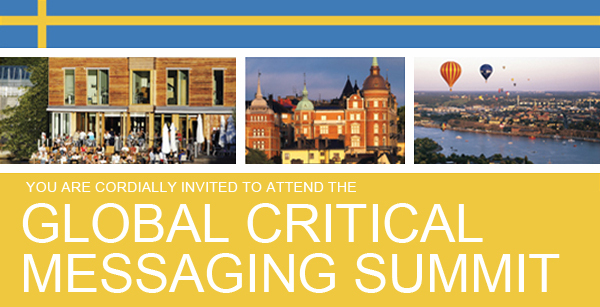 This session will allow for informal discussion on key issues within the global paging industry. This session will provide an opportunity for you to introduce yourself and your company and to learn about others in attendance. You will also be asked to contribute to an overview of Smartphone applications currently being developed and deployed or in which you have an interest. Paging operators face a market perception of outdated, obsolete, and unnecessary products which makes it hard for even the users who need the product to justify it. Learn to create a reborn value perception by repositioning from paging to something more critical. This session will focus on the strategy behind this move with examples from repositioning of the common Swedish paging word minicall to critical messaging. Critical Alert Systems has formed an exclusive partnership with Mobile Heartbeat as its sole distributor within the Critical Messaging space. Mobile Heartbeat has developed a mobile communication system designed to improve the quality of patient care by enhancing communications among clinicians and providing instant access to critical patient information, alerts, and notifications by leveraging a standard smartphone's functionality. The result is improved mobility and communication efficiency, keeping the team connected, informed, and patient-focused. Cardiac Arrest is the major cause of death in Europe and America. Time to CPR is crucial and ambulance care is not fast enough. The Mobile Lifesaver Project shows how volunteers arrive faster than the ambulance to give proper help in approximately 50% of all ambulance call-outs. Lives are saved. This presentation will examine how the RNLI utilises critical communications and messaging to save lives at sea around the UK and Ireland. The future of critical messaging within the RNLI will also be examined together with technology and user-architectural concepts. M/S Blue Charm boat . International experience from crisis management and live situations both locally and internationally. Messaging is always an integrated part, and often critical. The CTIF is the international body of approximately five million fire fighters in 39 states, particularly in Europe, the USA, and Russia. Dr. Ralf Ackermann, one of the world's most experienced fire fighting professionals and current President of the CTIF, will provide an overview of the association and how organizations may collaborate with CTIF. 10:15 am - 11:00 am Will Critical Messaging Ever Have an Encrypted Solution? Yes! Healthcare providers have been asking for a secure critical messaging solution for years now. Currently many manufacturers are actively marketing their solutions. Learn what options are currently available including the AES 128 Encryption Solution, which meets the HIPPA demands and can withstand the harsh environment of the Public Safety market. From critical messaging campus alerts to pedagogical e-learning, SMS is playing a key role in UK education today. Find out how PageOne's text service is helping an increasing number of educational institutions use SMS messaging as an important means of interaction between teachers, students, and parents. With the closure of Vodafone's paging system in Ireland, came opportunities that VoxPro has capitalized on. Despite the country's depressed economic state, VoxPro is hoping to build a third facility and continues to expand and grow. The FCC’s Public Safety and Homeland Security Bureau has issued a Public Notice requesting information relevant to the June 29 “derecho,” the storm that left millions of people from the Midwest to the mid-Atlantic without electrical power and/or communications services (BloostonLaw Telecom Update, July 11). The FCC said that the storm had a significant adverse effect on communications services generally and 9-1-1 facilities particularly. From isolated breakdowns in Ohio, Kentucky, Indiana, and Pennsylvania, to systemic failures in northern Virginia and West Virginia, the FCC said that it appears that a significant number of 9-1-1 systems and services were partially or completely down for several days. Comments in this PS Docket No. 11-60 proceeding are due August 17, and replies are due September 4. The Bureau seeks comment on the background, causes, and restoration efforts related to communications services and facilities impacted directly or indirectly by the storm and after. It seeks to develop a complete and accurate record of all the facts surrounding the outages during this storm as well as outages resulting from natural disasters in order to evaluate the overall resiliency and reliability of our Nation’s 9-1-1 systems and services. It also seeks comment on the impact these outages had on the various segments of the public, including consumers, hospitals, and public safety entities. Causes of Outages. What were the specific causes of the outages that occurred during or after the storms? Which network elements and components, such as Public Switched Telephone Network (PSTN) trunks, Internet-Protocol (IP) broadband access lines, databases and PSTN switches, were out of service and for how long? Effect on 9-1-1 Systems and Services . What could be done to improve the reliability of the 9-1-1 network when faced with storms like the derecho or other threats? Are there actions the FCC should take to improve the reliability of 9-1-1 services during strong storms like this? What actions should communications service providers take? Are there actions that communications service providers and/or PSAPs should take to improve the 9-1-1-restoration process? What, if anything, can the FCC do to better assist communications service providers and PSAPs in the restoration process? Effect of 9-1-1 Outages. What impact did the 9-1-1 out-ages have on the public? For example, how were consumers affected? How did the outages affect the ability of public safety officials to perform their duties? How was the public alerted of the 9-1-1 outages and what alternatives were provided? How effective were these alternatives? To what extent was social media used to spread the word about the 9-1-1 outages and alternatives? What impact did the 9-1-1 outages have on other sectors of the user community, including businesses and providers of critical services, such as hospitals? Effect of Communications Outages on Access to 9-1-1 Services. Outages in the 9-1-1 network itself are only one way that users can be denied access to 9-1-1 services. For example, if the PSAP is operational and the 9-1-1 network is functioning, users in a local area will still be unable to reach the PSAP if they lack access to the communications network due to a local outage. To what extent did users find that the general unavailability of communications service impaired their ability to access 9-1-1 service? In these instances, were multiple methods of reaching the PSAP available, like cell phones or other types of communications services? How effective were these alternative communications services in over-coming outages affecting one access platform? What should be done to improve the diversity of access to 9-1-1 services so that communications outages are less likely to result in an inability to access 9-1-1? The 9-1-1 communications failures experienced as a result of the derecho also give rise to concerns and questions about the reliability and resiliency of the 9-1-1 communications networks nationwide, particularly in the event of a severe weather or other type of high-impact natural disaster. The Bureau seeks comment on how 9-1-1 communications have fared during other recent natural disaster events. Commenters are asked to describe any lessons learned from those events, in particular improvements that were recommended to improve 9-1-1 service reliability and survivability. Commenters should address the impact on communications relying on the PSTN- and IP-based communications, as well as fixed and mobile wireless communications. iii) loss of the ability to reroute traffic to an alternate PSAP or administrative lines. What could be done to reduce the incidence of outages in each category? What actions, if any, should the FCC take to address this problem? The President’s Council of Advisors on Science and Technology (PCAST) has released a report, Realizing the Full Potential of Government-Held Spectrum to Spur Economic Growth, concluding that the traditional practice of clearing government-held spectrum of Federal users and auctioning it for commercial use is not sustainable. In light of changes made possible by modern technology, PCAST recommends that the President issue a new Memorandum that states it is the policy of the U.S. government to share underutilized spectrum to the maximum extent consistent with the Federal mission, and requires the Secretary of Commerce to identify 1,000 MHz of Federal spectrum in which to implement shared-use spectrum pilot projects. To make a start on the substantial changes that PCAST proposes, the report recommends formation of an Executive Office of the President Spectrum Management Team (SMT), led by the White House Chief Technology Officer, to work with the National Telecommunications and Information Administration (NTIA) on carrying out the President’s Directive. In particular, the SMT should create an accounting and incentive system to promote more effective Federal spectrum use. PCAST also recommends beginning a pilot program involving spectrum sharing, supported by early release of funds from various sources, with three key elements: immediate sharing by new low-power devices in two existing Federal spectrum bands; formation of a Spectrum Sharing Partnership Steering Committee (SSP) of industry executives ( e.g. CEOs) to advise on a policy framework to maximize commercial success; and creation of an urban Test City and a Mobile Test Service that can support rapid learning in spectrum management technology and practice. AT&T and CTIA — The Wireless Association did not care for this “shared-spectrum” approach. Specifically, CTIA said: "Cleared spectrum and an exclusive-use approach has enabled the U.S. wireless industry to invest hundreds of billions of dollars, deploying world-leading mo-bile broadband networks and resulting in tremendous economic benefits for U.S. consumers and businesses. Not surprisingly, that is the very same approach that has been used by the countries that we compete with in the global marketplace, who have brought hundreds of megahertz of cleared spectrum to market in recent years." The Office of Management and Budget (OMB) has approved, for a period of three years, the information collection associated with the FCC's Wireless E911 Phase II Location Accuracy Requirements adopted in the Third Report and Order. These rules become effective today, July 25. The PS Docket No. 07-114 Third Report and Order provides that new Commercial Mobile Radio Service (CMRS) providers, meeting the definition of “covered” CMRS providers and deploying networks subsequent to the effective date of the Third Report and Order that are not an expansion or upgrade of an existing CMRS network, must meet the handset-based location accuracy standard from the start. Consequently, the rule requires new CMRS providers launching stand-alone networks (during the eight-year implementation period for handset-based CMRS wireless licensees) to meet the applicable handset-based location accuracy standard in effect at the time of deployment. Therefore, new CMRS providers must comply with the location accuracy requirements for handset-based carriers. All new CMRS providers, in delivering emergency calls for Enhanced 911 service, must satisfy the handset-based location accuracy standard at either a county-based or Public Safety Answering Point (PSAP)-based geographic level. Thus, in accordance with the new rule, new CMRS providers must meet the following initial benchmark for the specified handset-based location accuracy requirements: two years from January 18, 2011, 50 meters for 67 percent of calls, and 150 meters for 80 percent of calls, on a per-county or per-PSAP basis. Similarly, new CMRS providers may exclude up to 15 percent of the counties or PSAP areas they serve due to heavy forestation that limits handset-based technology accuracy in those counties or areas. (6) the Commission will continue to promote greater use of technology (and less use of paper) in improving its regulatory fee notification and collection processes. I think my letter in your current newsletter might be a little out of context for the readers. They probably don’t know that I am referring to a recent $100M patent suit filed against RIM. You may wish to clarify this in the next newsletter as readers may not be aware of this new hit to RIM. I always laugh when uninformed persons tell me about pagers being obsolete, because newer technology is replacing them. I love to ask them how they get from place to place. They usually reply, car. That is when I ask them what their cars run on. The wheel, it's is really old technology, and it still works!!! July 16, 2012. 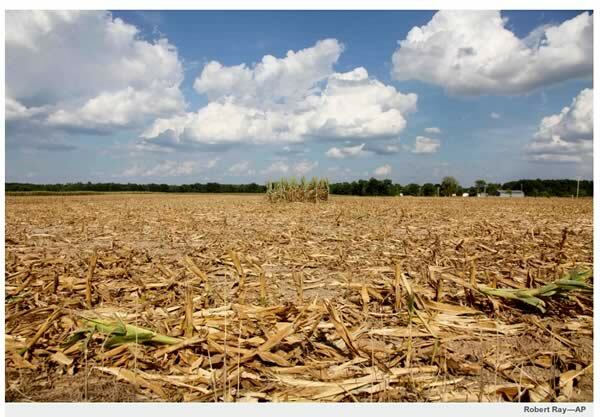 Four rows of corn left for insurance adjusters to examine are all that remain of a 40-acre cornfield in Geff, Ill. that was mowed down.